Pat Flynn understands branding. He understands that one wrong move can damage your reputation. His show notes for a podcast are designed so you could pass a test on the subject. 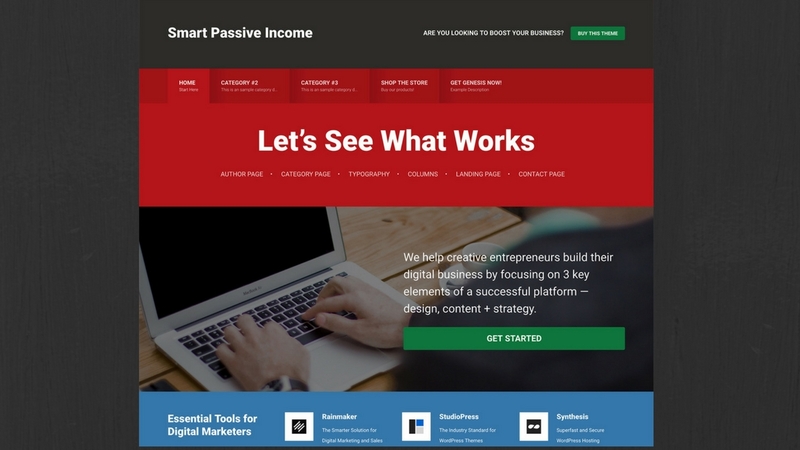 I'm a fan of his book Will It Fly, I like his Smart Podcast Player, and now he recently partner with StudioPress so you can make your website look like his Smart Passive Income website (which has always been very polished and professional. This runs on the Geneisis Framework ($59) and then Patt's SPI Theme is $99. This video gives a brief overview, but shows there is a ton of documentation (along with the support of the StudioPress support team). Unfortunately, the monthly income noted on Pat's sight is sold separately….